In the market for a high quality, affordable golf cart? Then join the club known for some of the finest golf, utility and transportation vehicles in the industry. That’s why Gulf Atlantic Vehicles carries Club Car, a 50-year old company with worldwide distribution and a remarkable reputation for providing long-lasting value. Whatever your golf cart needs, Club Car can meet them. Want a golf cart for personal use and recreation? Club Car’s stylish personal golf cars provide smooth handling and rugged construction. They are built to last and come with the best warranty available in the industry. 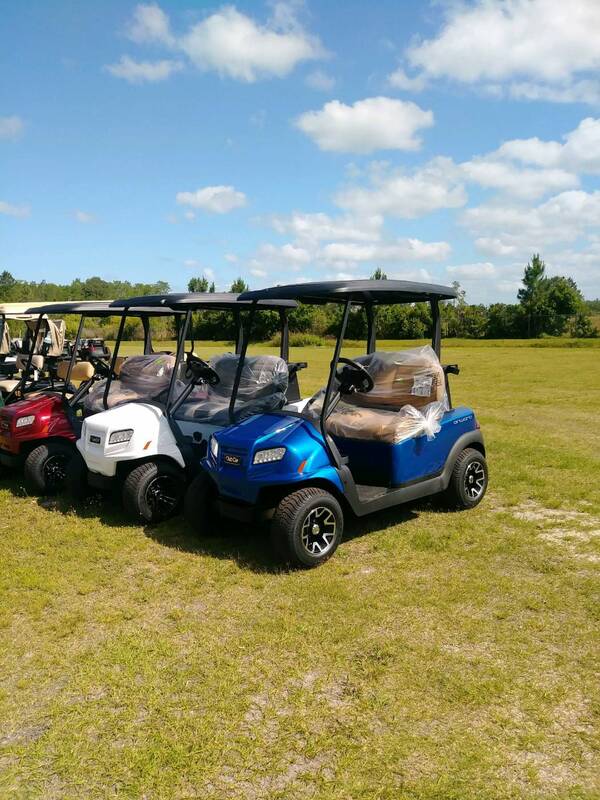 Got more of a commercial golf cart need? Club Car commercial golf cars are also backed by the industry’s best two-year warranty; and from light-duty to heavy-duty 4x4s and multi-person transportation, Club Car offers a wide range of options…making them the perfect cart for passenger transportation, shuttles and tours, moving merchandise in warehouses, replenishing stock in stores, indoor and outdoor hauling, security patrol, hospitality, housekeeping and more! Gulf Atlantic Vehicles has served New Smyrna Beach, Daytona Beach, Port Orange, Ormond Beach, Edgewater and the surrounding area since 1965. Our carts are remarkable and our service is impeccable. We also inventory a wide range of parts and accessories, so we can individually tailor your cart to your specific needs and style. Gulf Atlantic is conveniently located on Pioneer Trail in New Smyrna Beach, Florida. So stop in any time. Our helpful customer service team will provide you with all the information you need to outfit you with the golf car that suits you to a tee!